Support | How Do I Collect Data? 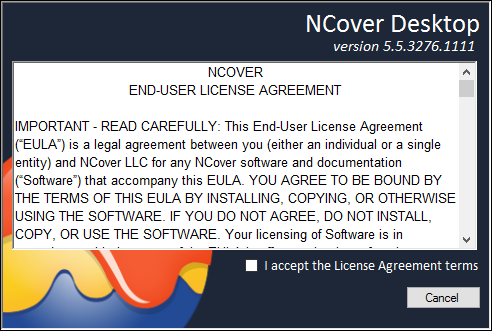 Docs › NCover Desktop › What is NCover Desktop? › How Do I Collect Data? NCover Desktop installs as a Windows service and sets global environment variables that allow it to access Microsoft's profiling ability. After install, the NCover service runs in the background, ready to cover any .NET applications or services on your desktop or virtual machine. 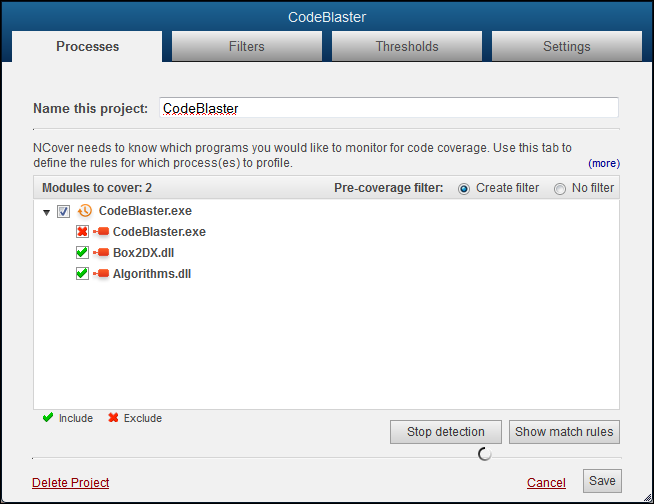 Both 32 and 64 bit versions of the NCover profiler are installed and managed automatically, so there's no need to choose which version you need and install them separately. After Desktop is installed, logging in to the application for the first time will display the registration screen. You have two registration options: connect to Code Central, or enter your key code and begin using the standalone Desktop. Since Desktop can send coverage data and create projects on Code Central, you're prompted to connect to the Code Central server at registration. From the NCover menu icon, Click Connect to Code Central Server. Server URI -- Enter the address of the local host and the port for the Code Central server. This defaults to 127.0.0.1:11233 at installation, but will connect to whatever IP you specify for Code Central. 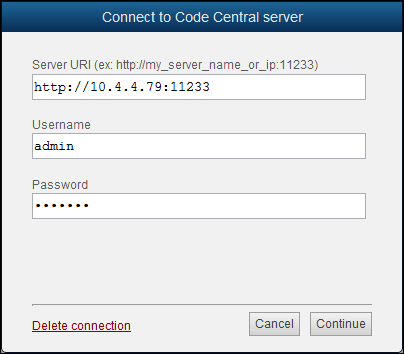 Username - A valid username as entered in the Admin section of Code Central. Password - A valid password for the username entered above. Click on Login and Activate and Desktop will contact the Code Central server. If the connection info you entered is valid and the Code Central service is running, a success message will display. The NCover menu shows you that Desktop is connected to Code Central. The other option for Desktop at registration is to enter your trial key code and begin using the standalone application. Key code - Enter the license key code from your purchase order or invoice. Email - Enter a valid e-mail address. 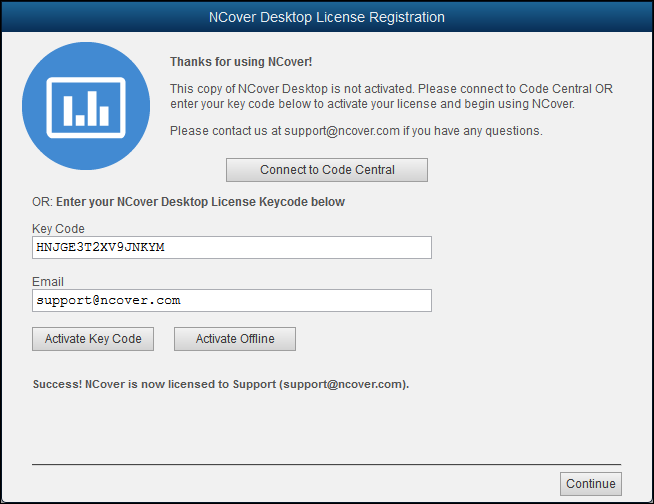 Click on Activate Key Code and Desktop will contact the NCover license server. If the key you entered is valid and active, a success message will display. Now you're ready to create a project and start collecting coverage! This ability to gather data globally is key to understanding how to leverage the power of NCover Desktop. When starting any project the first question you should ask is, What process do I want to cover? If Desktop can find the executable or service that's exercising your code, it can collect coverage data. 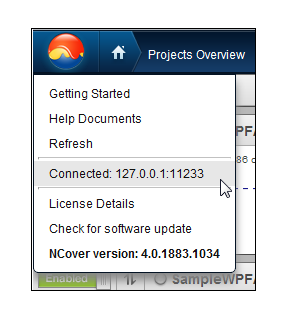 From the Home view of the NCover Desktop, click to open the "Create a New Project" window. Let's say you want to monitor the NCover code coverage game, Code Blaster. Regex is a good choice in this case. 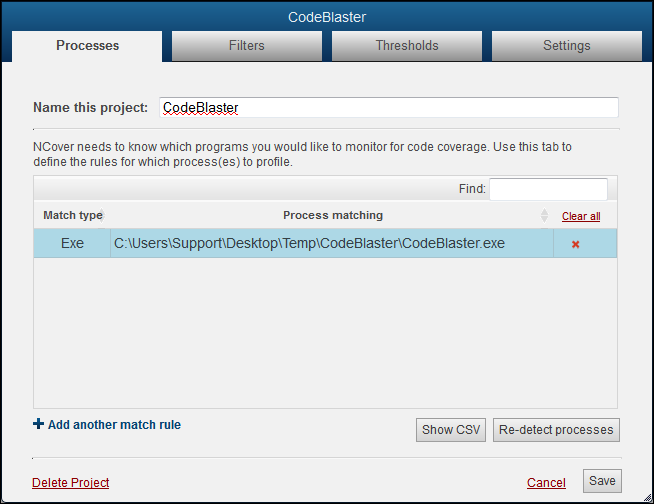 The Regex option would be simply "CodeBlaster", or "codeblaster" -- the regex isn't case-sensitive. 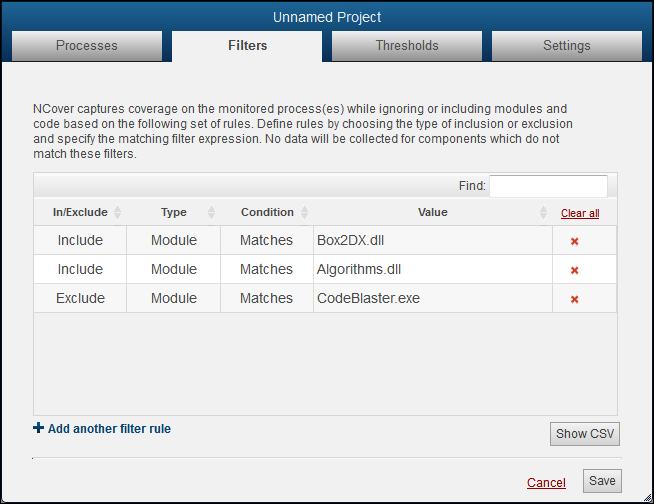 You can click on the Auto-Configure button and let NCover create project settings for you. 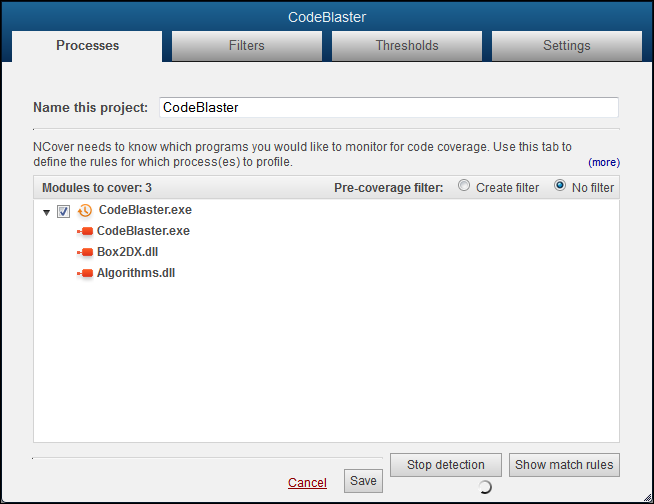 Start the CodeBlaster application, and the executables and assemblies that are being loaded will display in the detection window. 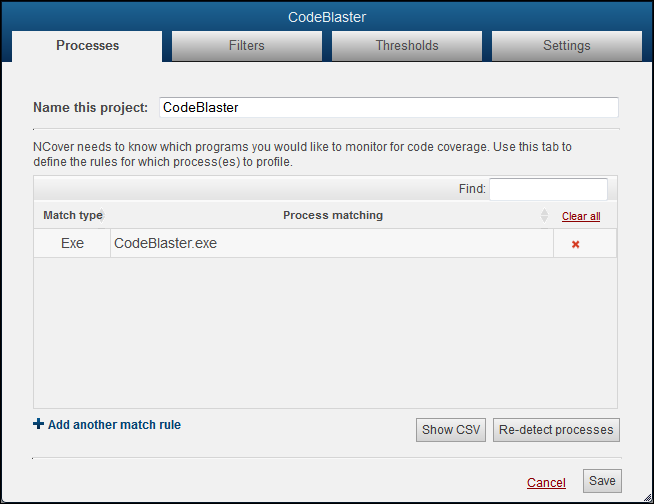 Note: If the process you want to profile is already running, you must re-start it in order for NCover to detect it. When your project selections are complete, re-start your application and run your manual tests. Go to the Home page and you'll see that the light beside your enabled project is pulsing green to indicate coverage is being collected. Immediately to the right of your project name, the Modules Collecting counter displays the number of modules being profiled in the current execution of your project. The number will change while coverage is running, but the counter should eventually disappear when profiling is complete. When testing is complete, close your tested application and NCover will automatically start compiling the coverage data. Now that you have coverage data, what does the data mean?